Full size patterns with construction manual (print at home). … May I say it is an absolute pleasure working with your patterns, the instructions are meticulous and easy to understand. We recently staged Cinderella and we here at Northwest Ballet Theater had the 4 Seasons Fairies Romantic tutu's built off of your patterns. They were absolutely beautiful!! Our Fall Season Fairy said "I've never had a tutu fit me before!!" It was like watching my kids open presents, the ballerinas were so happy. There truly is nothing better than a tutu that fits like a glove when you are dancing on stage. I love these patterns! 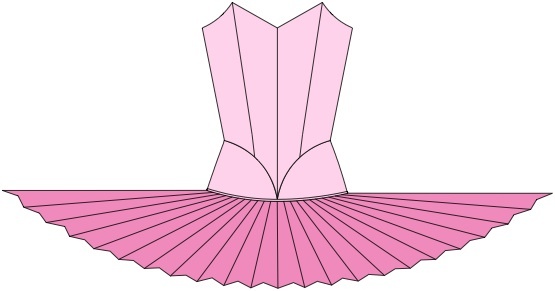 Although I have done a fair amount of sewing over the years, I had never made a tutu until my daughter asked if I could help with the costuming for her high school dance company, and the Serenade romantic pattern has the professional finished look we are going for. The first tutu I made to test my sewing skills against the pattern turned out beautiful, and I am thoroughly enjoying sewing seven more!